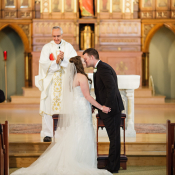 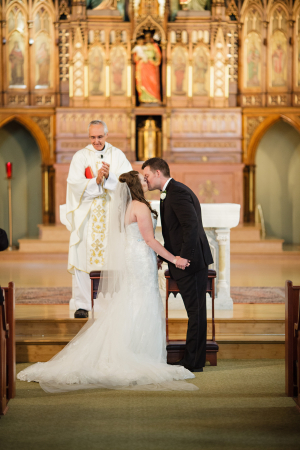 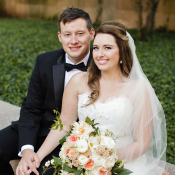 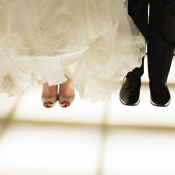 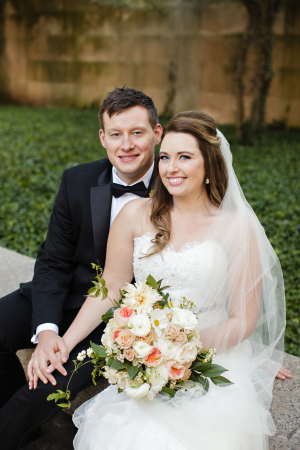 Katie and Aaron were married on the same weekend that her parents said “I Do” 31 years prior. 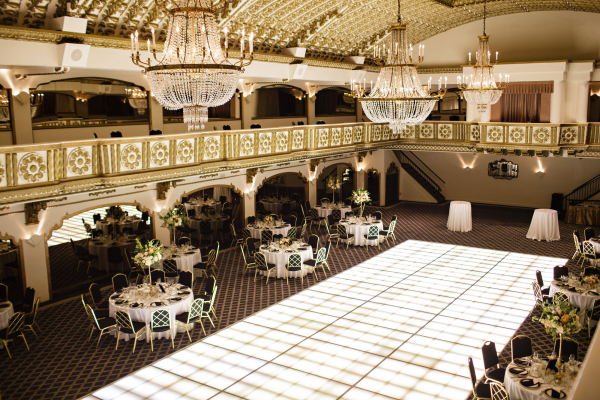 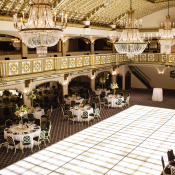 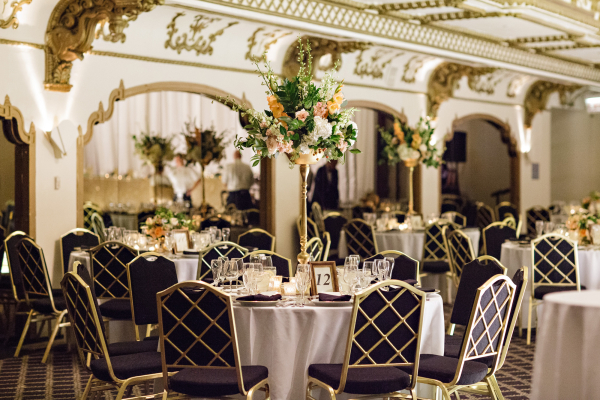 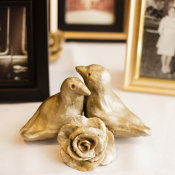 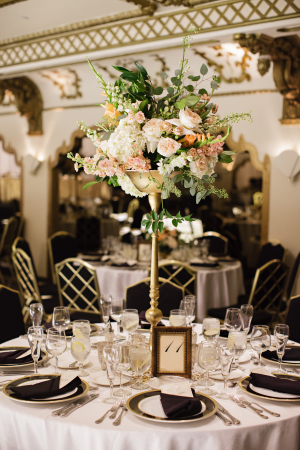 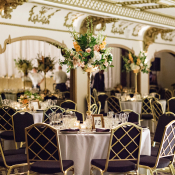 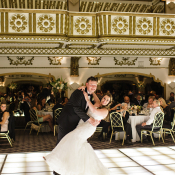 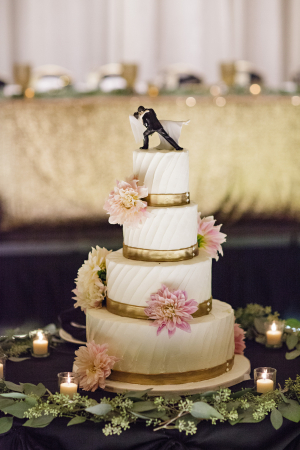 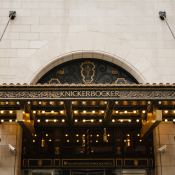 After a traditional ceremony at St. Joseph’s Church, the wedding party made their way to The Millennium Knickerbocker Hotel, with its dramatic art deco ballroom. 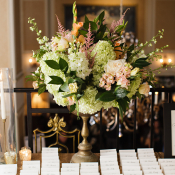 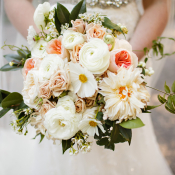 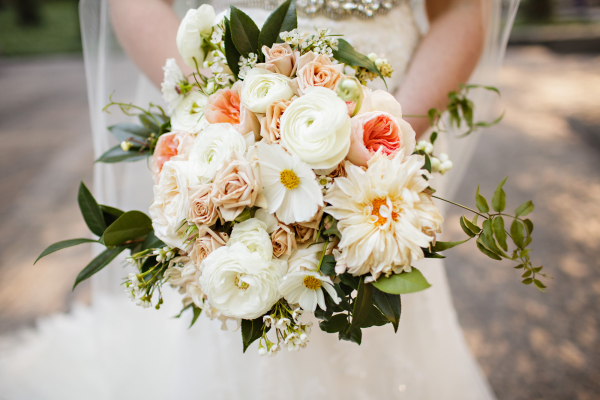 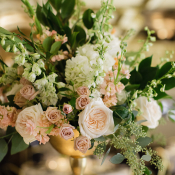 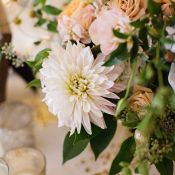 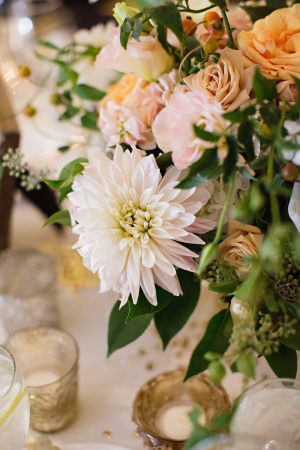 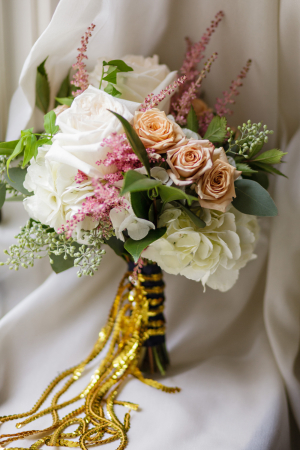 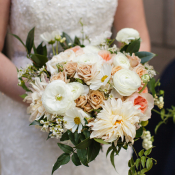 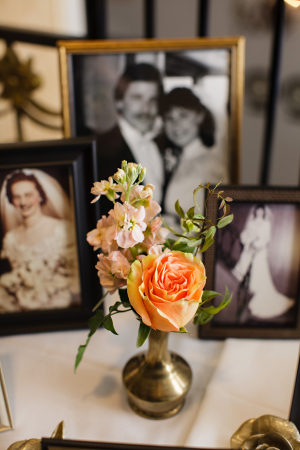 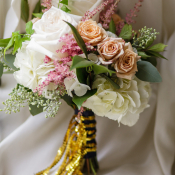 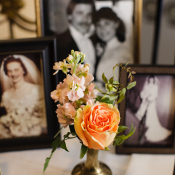 They fell in love with the magic of 1920’s inspired floral designs during their planning process, and the fabulous Kelly Marie from Fleur brought the vision to life with clematis blooms, peach cafe au lait dahlias, garden roses, ranunculus and hyrangea. 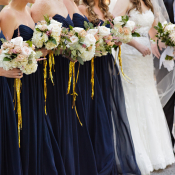 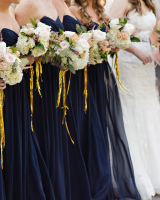 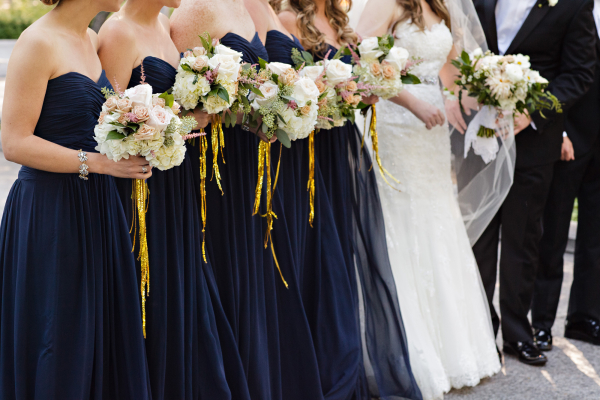 The bridesmaids’ bouquets featured sparkly gold ribbons, which perfectly complemented their floor length navy gowns from Dessy. 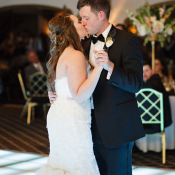 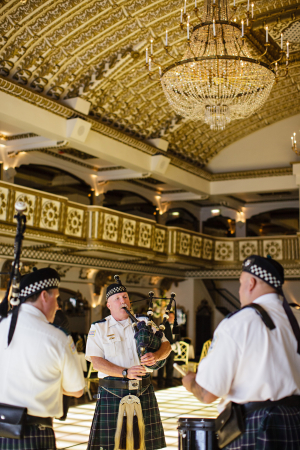 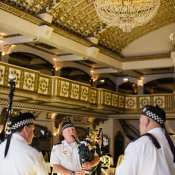 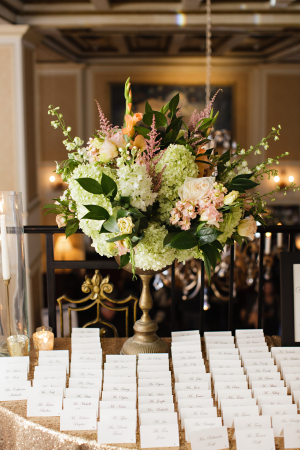 The couple sprinkled ersonal touches—such as their signature drinks named after their best man and maid of honor and family photo table—throughout the day to honor family and friends, and we love the fun of having bagpipers lead the guests into the ballroom after cocktails! 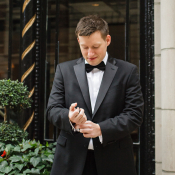 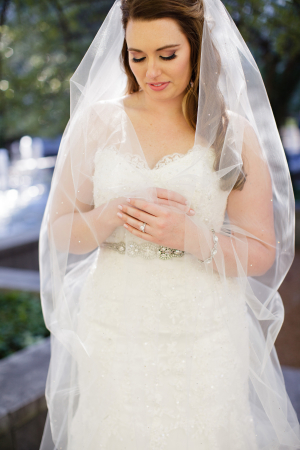 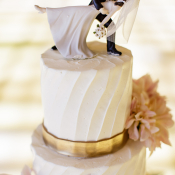 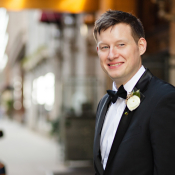 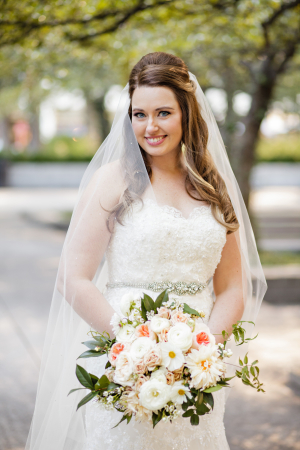 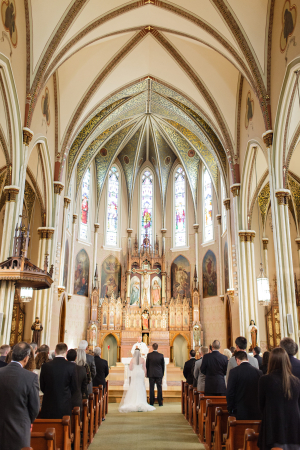 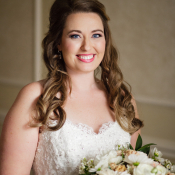 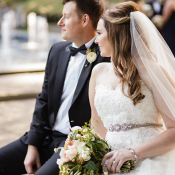 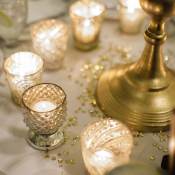 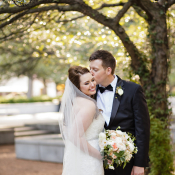 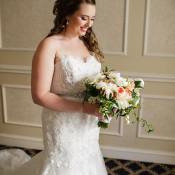 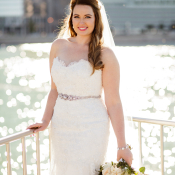 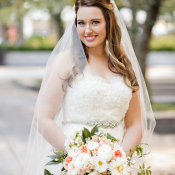 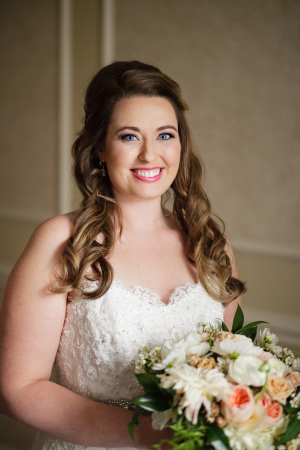 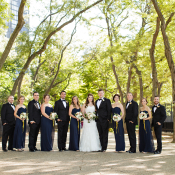 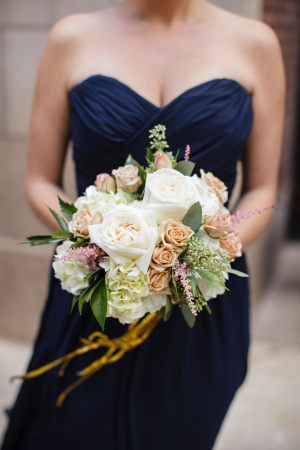 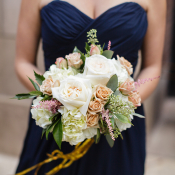 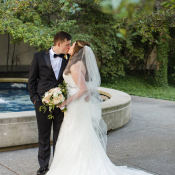 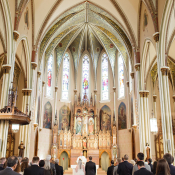 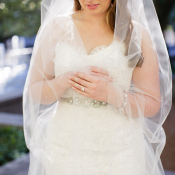 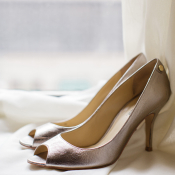 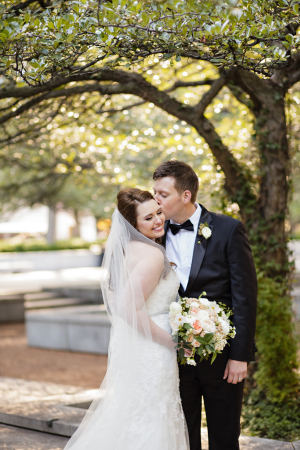 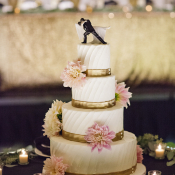 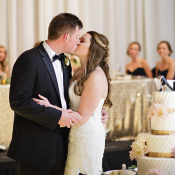 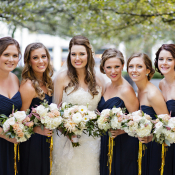 Prepare to fall in love with each image from Sarah Postma Photography! 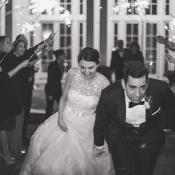 From the bride: Throwing a celebration that sincerely reflected our love with thoughtful touches that played homage to our relationship was important to Aaron and I as we planned our mid-September wedding. 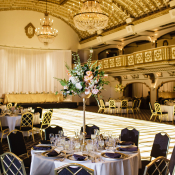 In a classic downtown setting, we wanted our wedding to feel warm, inviting and unique. 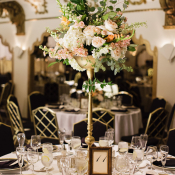 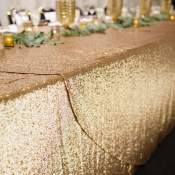 It was important to us to incorporate to play up the art deco inspiration of our historical Chicago venue with touches that wouldn’t overwhelm but compliment the already ornate space. 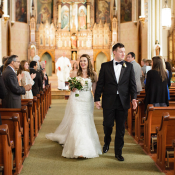 The best part of our wedding was taking in the events of the day together throughout the day- after our grand exit from the church (I wish I could bottle up that feeling! 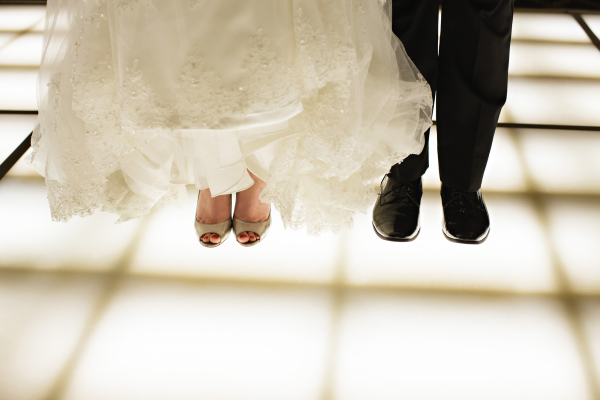 We floated down the steps and the joy between us was radiant. 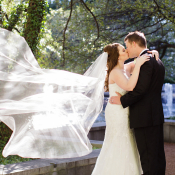 The photos captured the moment perfectly! 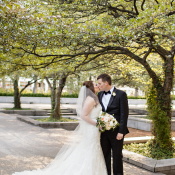 ), having a quiet moment to ourselves to reflect on how meaningful the ceremony was to us was an incredible way to start our lives as husband and wife.